A good friend once said that I would make a good copywriter. Well I’m no Peggy Olson and I sure can’t roller skate (see Lost Horizon episode) but I certainly appreciate a good tagline. 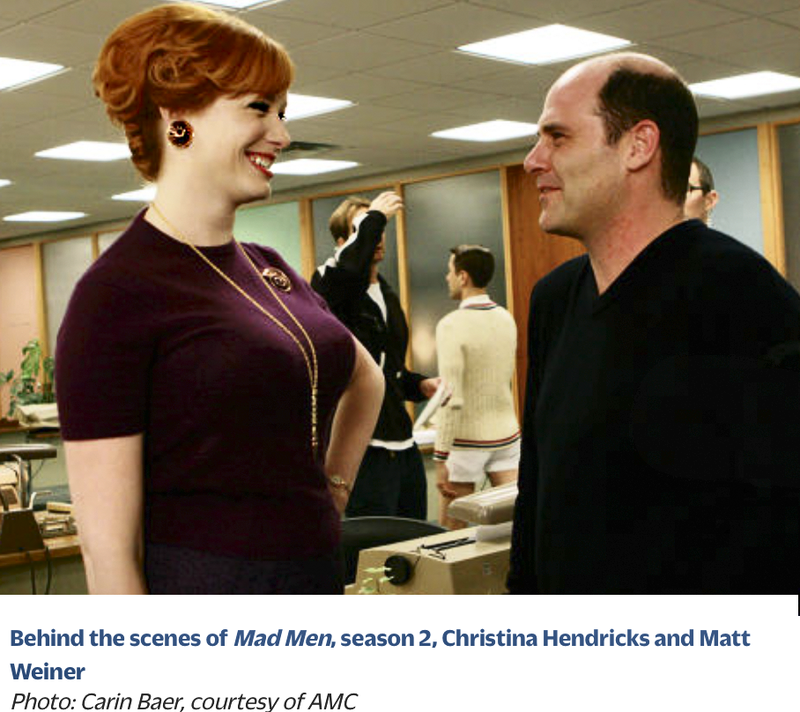 Unfortunately, the tagline days of Mad Men are now over and we’re no longer privy to the behind-the-scenes shenanigans of the 60s advertising world. 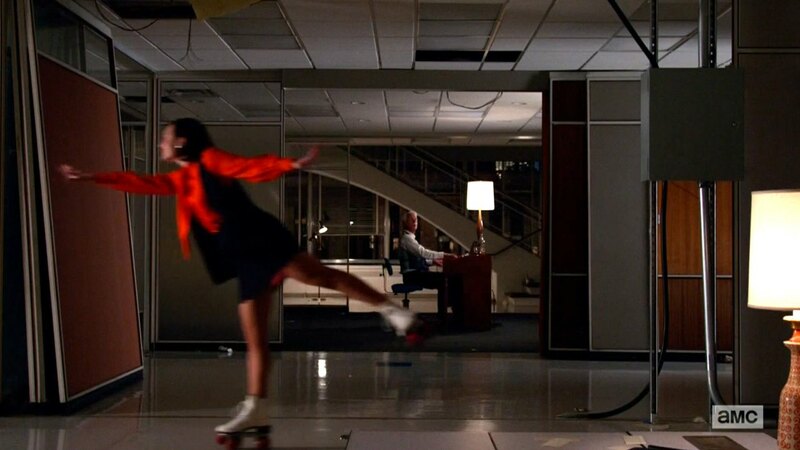 As Emily Nussbaum wrote in The New Yorker, Mad Men had us “in its smoky, boozy thrall.” Now the finale of this iconic series has come and gone and many opinions have been expressed by others much better qualified than me in the criticism of literary television. So no recap here or obvious commentary on the meaning of Don’s final beatific smile. Yes, he did exploit his experience at Esalen to come up with THAT commercial. And he did learn something – although Leonard was the avatar used to express Don’s feelings and self-understanding. But Don is a salesman at heart and will continue to be one throughout the self-absorbed 70s. No Willy Loman ending for him. He might suffer – mostly through his own doing – but he will thrive and come up with catchphrases that will have us buying, or at least coveting, the stuff of (North) American Dreams. Mad Men showed how the groundwork was laid for the selling and buying frenzy that would follow over future decades and the eventual conversion of everyone with a Twitter account into a ‘salesperson’, a ‘marketer’, a seeker of a ‘brand’ identity. Although many of us with these accounts may not be selling stuff or even ourselves, we’re still using advertising approaches and Mad Men-style ‘pitches’ for promoting ideas, issues, causes. The series spread over so much time – it seemed much longer than the actual 60s. Although, the upheavals that took place over that transformative decade would need countless Mad Men-like productions to do it justice. Looking back, the idea of depicting these changes through the lens of the advertising industry was pretty brilliant. Not that the show was meant to be a historical assessment by any means. Let’s face it, most of us watched to see what would happen to the characters – no matter what their outfits, misogynist/racist attitudes, or parental incompetence. They did grow in maturity, in the understanding of themselves and of their world – most of them anyway. Weiner revealed in the interview that this actually happened to him with his mother. When I heard this, I was hoping that his real mother was long gone and did not witness her son’s cruel portrait of her. But no, she is very much alive and apparently did not mind the depiction. Maybe she didn’t recognize it but she obviously understands what goes into effective narrative. The way this story was ‘re-told’ – capturing Betty’s detachment and basic unhappiness, Bobby’s hopefulness, and the ultimate fraying of their bond was an example what made the series great. A remarkable narrative within a context that touched many of us decades ago, and reverberates into our existence now. This article can be found in STAYING IN in the section What We’re Watching.